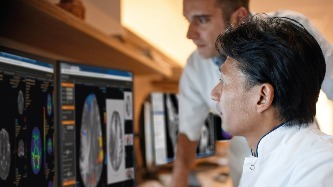 Royal Philips is showcasing its connected care technology to help drive precision diagnosis, suggested treatment and follow-up, at the 2019 Healthcare Information Management Systems Society (HIMSS) annual meeting in Orlando, Feb. 11-15. Philips will spotlight integrated solutions enhanced by adaptive intelligence across key areas of health information management, addressing some of the biggest challenges facing Health IT professionals including inefficient workflows, interoperability, managing data overload and aggregation, cost control and cybersecurity. "At Philips, our mission is to deliver solutions that take the complexity out of healthcare through a truly integrated approach to drive better health outcomes, improved patient and staff experience and lower cost of care," said Carla Kriwet, Chief Business Leader of Connected Care at Philips. "We develop and deliver intelligent, integrated data management and analytics to bring together the full picture of the patient to help facilitate better informed decision-making and care delivery within the hospital, in post-acute care settings and in the home." – managed service informatics solution to enable data integration across the enterprise for more confident informed decisions and improve patient care and staff experience with more streamlined workflows. – a scalable, centralized tele-ICU solution combining A/V technology, predictive analytics, data visualization and advanced reporting to extend critical care resources to the bedside via technology regardless of location. – open standards-based interoperability software solutions for fast and flawless data flows between medical systems and information sources at departmental and enterprise levels, and Health Information Exchanges (HIEs) across health systems. – vendor agnostic, integrated, scalable portfolio of services, tools, and support to empower hospital departments with real-time information to improve performance and build a program for continuous improvement. – central station that includes Data Warehouse Connect, a continuous, high-resolution data-capture and storage solution that allows organizations to leverage rich data sets to execute quality-improvement programs, boost operational efficiency and conduct cutting-edge research. – cloud-based platform brings together actionable clinical patient information from disparate data sources, intelligently organized across rich dashboards to facilitate collaborative diagnostic treatment and follow-up decisions by Multidisciplinary Tumor Boards via Dana-Farber Oncology Pathways, Genomic Bioinformatics and Interpretation, Clinical Trial Matching and Clinical Dashboards. – highly scalable solution enhances productivity with high-resolution digital images, collaborative features and case management tools, designed to support clinical practice, improve patient care and reduce costs. - introduces a new paradigm of clinically intelligent software designed to changes how clinicians see, seek and share information by providing a tailored workflow experience which adapts to preferences and patient context. – comprehensive visualization platform provides advanced analysis tools particularly helpful for complex cases to enhance confident diagnosis. – analytics to identify at-risk populations, combined with care management programs and connected devices, applications and monitoring that help manage COPD patients at home to reduce COPD readmissions and the total cost of care. - the Philips Cares digital experience exposes, organizes and connects care across a network of informal and formal caregivers, analytics and services to support those on the aging journey. programs – help increase patient engagement and access to care, to track progress over time. next generation enterprise-wide health informatics platform to include Philips PerformanceBridge. New enhancements now include IntelliSpace Precision Medicine Oncology, IntelliSpace Genomics and interoperable clinical data sharing with IntelliSpace Exchange. Philips is also introducing its latest technology to improve patient and staff experience with the launch of Philips IntelliSpace Epidemiology. The new decision-support solution is the first to combine clinical and genomic technologies for precision infection control to efficiently and accurately identify healthcare associated infections. For more information on Philips' full portfolio of integrated smart enterprise systems, devices, software and services that will be spotlighted in Booth #2101 at the HIMSS Global Conference & Exhibition in Orlando, FL, Feb. 11-15, 2019, visit www.philips.com/himss and follow @PhilipsLiveFrom for #HIMSS19 updates throughout the event. Philips showcases connected care solutions across the health continuum at HIMSS 2019. Appl Rad Oncol.